OpenOffice.org conference videos Mac OS X related. 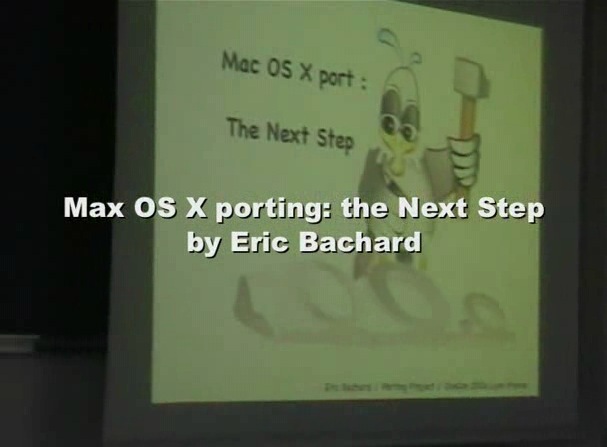 Here are the videos recorded 12 Sept at OOoCon2006 in Lyon as documentations about Mac OS X porting. Video recorded 12 Sept at OOoCon in Lyon - time: 49'23"